He is also the Deputy Regional Medical Director for the North of England. He was formerly Medical Director of NHS England Lancashire and Greater Manchester as well as Director of Commissioning for Lancashire. 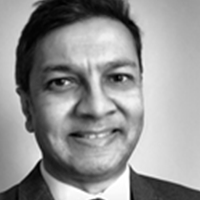 Raj has been a GP partner for 25 years in Hyde, Greater Manchester and has held senior clinical leadership positions in the NHS, locally, regionally and nationally since 1997. He is a Manchester medical graduate born in colonial Nairobi and raised in Leicester. Raj is a passionate advocate for jointly involving clinicians and patients in healthcare decisions.